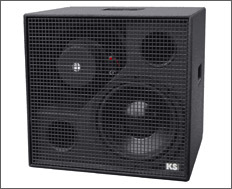 Welcome to the KS Audio Professional Live PA Speaker Systems Subwoofers line. Transparency, clarity, and dynamics are matched with audiophile quality in these powerful subs. 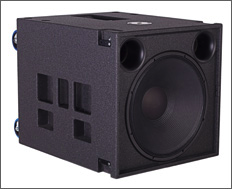 The CPD B powered and CW 210 unpowered subwoofers are small in stature but huge in sound. 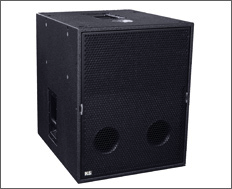 As portable as can be, they provide massive low end to any smaller system. The CPD W2 powered and C W2 unpowered subwoofers are 2 x 15", bringing even more extreme low end to your system--but with absolute clarity. 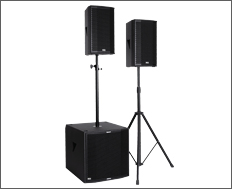 The CPD WL powered and C WL unpowered subwoofers are 1 x 18", and provide articulate bass extension that must be heard to be believed. 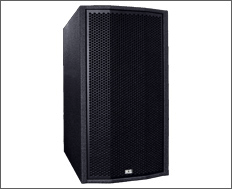 The T Sub unpowered subwoofer is the big daddy of the bunch--with 8 x 10" extreme long excursion drivers, this sub delivers incredible performance, but again retains absolute clarity in tone. 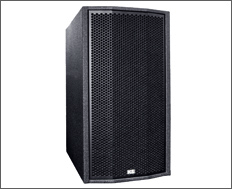 The CPD W1 powered and C W1 unpowered subwoofers are 1 x 15" designs, with pure tone and powerful output. 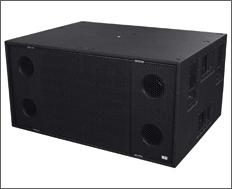 The CPD W15 powered and T4 W unpowered subwoofers are 2 x 15" powerhouses that deliver incredible performance with Firtec DSP. Audio Over Ethernet, AES/EBU digital I/O, and more--the ultimate all-in-one sub. The CPD Sub powered and C Sub unpowered subwoofers are 4 x 10" subs that output a massive low end with ultimate precision and dynamics. 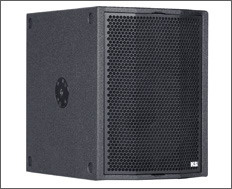 The CB 18 powered and CW 18 unpowered subwoofers are part of the SAT 3 and Session 3 Complete Set systems (and only work with these configurations), and can also be found on the SAT 3 page and Session 3 page.